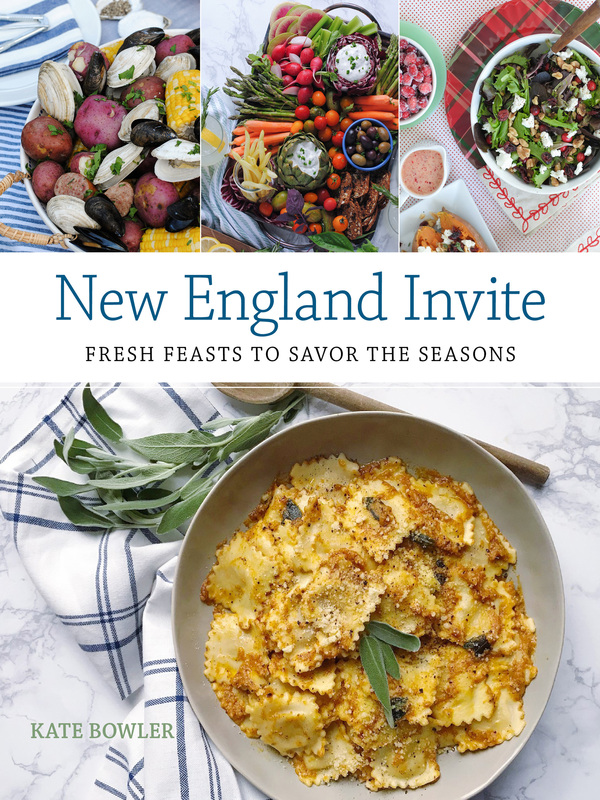 If you’re read this blog, or skimmed my cookbook, you know that I’m a big, big fan of streamlining prep work and building efficient menus when it comes to entertaining. 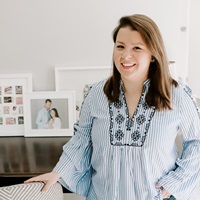 My goal is always to spend less time in the kitchen and more time with my family, while still sharing a really tasty meal when we’re together for celebrations. 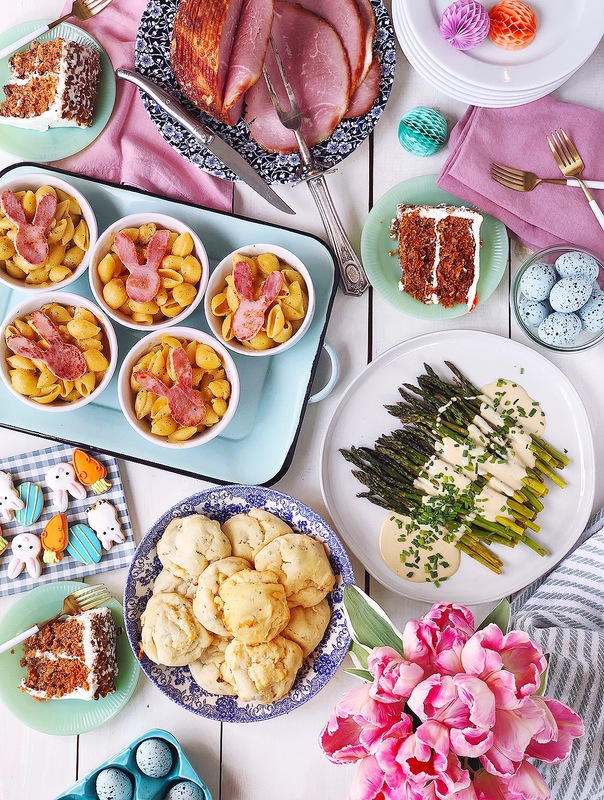 This easy Easter menu has a few little tricks in it to get dinner on the table in record time! 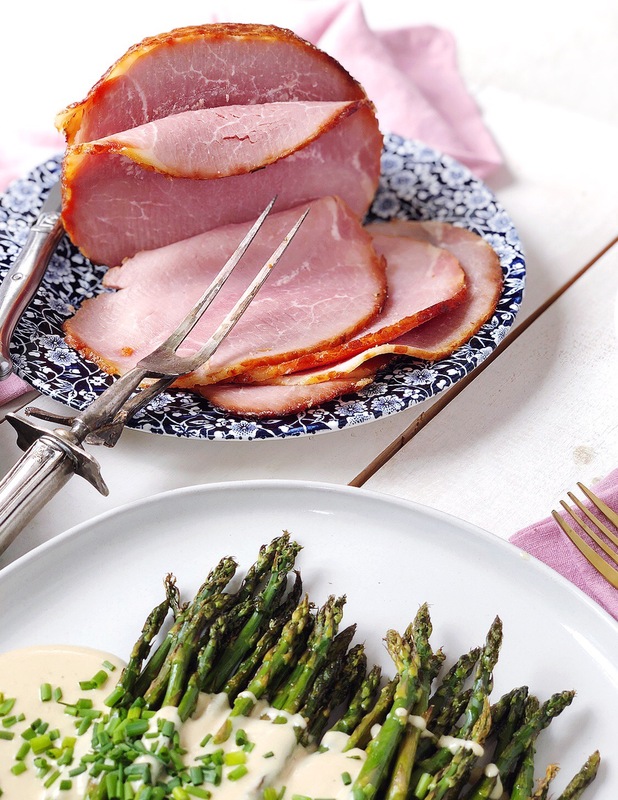 The centerpiece of this Easter menu is a Honey Baked Boneless Ham; Honey Baked Hams shared some of their delicious offerings with me and oh boy is the ham a crowd-pleaser (it might be my husband’s favorite meal we’ve had from this blog!). The Honey Baked Ham is mildly smoked and coated with a sweet, crunchy glaze (YUM!) – and the best part is it’s easy and simple to serve—it is pre-sliced and ready to enjoy. 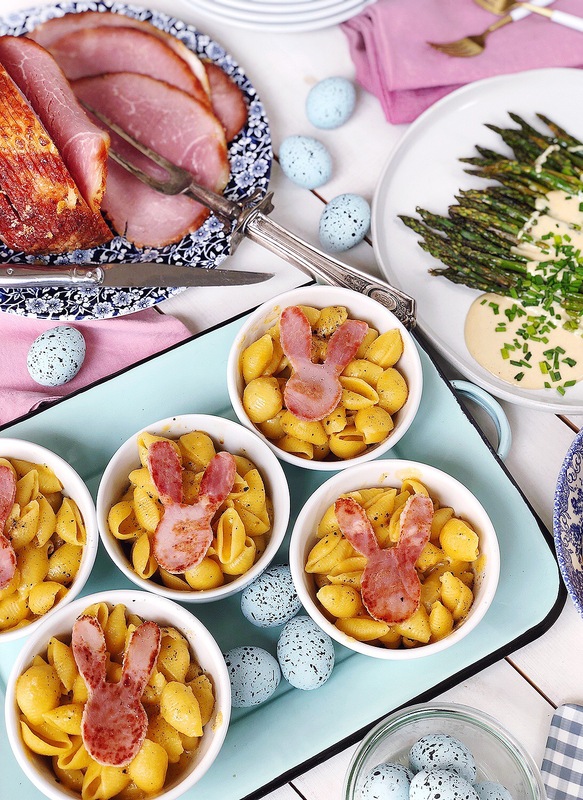 I look forward to the Easter ham every year and think it tastes amazing paired with my classic mac and cheese recipe. To cut down on prep work on the day of your celebrations, try prepping the mac and cheese the night before. This recipe can be made ahead and then portioned into individual oven-safe bowls – the smaller containers take less time to reheat and help keep the moisture in the sauce and pasta. 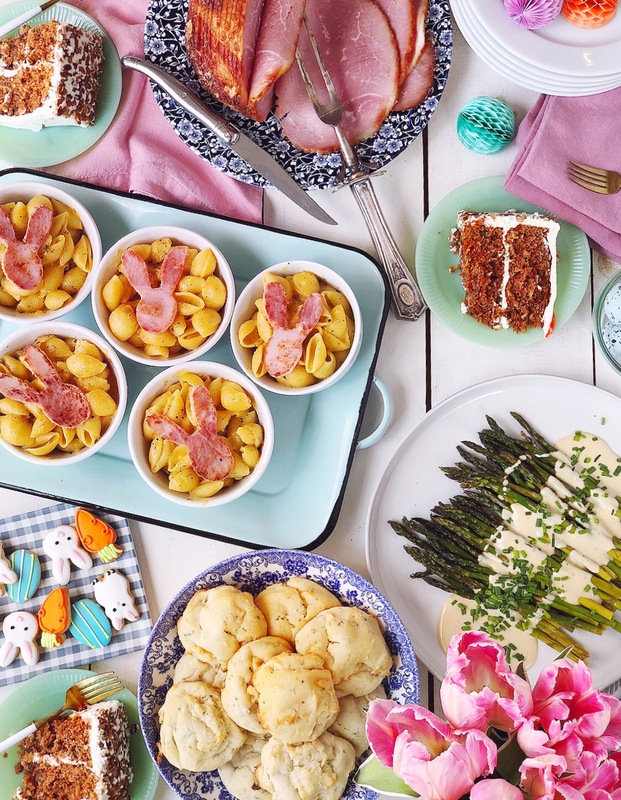 To give the classic mac and cheese recipe a festive look, I used a cookie cutter to stamp out bunny shapes from a few slices of the Honey Baked Boneless Ham and added them to the top of the bowls during the last two minutes of baking. Much like mixing bacon into mac and cheese, the sweet and smoky flavors of the ham is a perfect complement to the creamy, rich cheesy pasta! While the Honey Baked Ham and the mac and cheese are heating up in the oven, I baked some quick drop biscuits (this is a great recipe, I fold herbs into mine!) and roasted asparagus. Prep a quick Dijon sauce for the asparagus to drizzle over the top (see my recipe here! ), and your whole meal is ready to set on the dinner table. 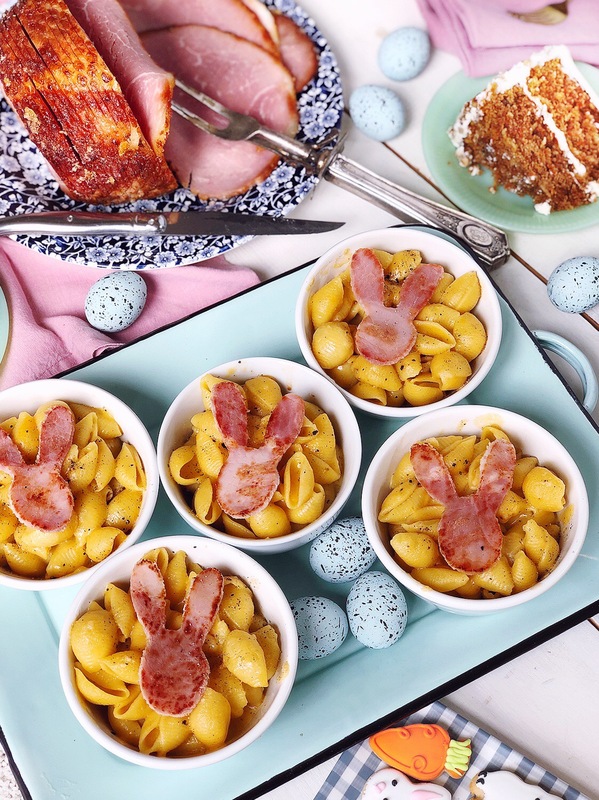 Get the full recipe for the classic mac and cheese with Honey Baked Ham bunnies on top below, and let me know in the comments what you’re serving for Easter! Please note: This post was created in partnership with Honey Baked Ham. All opinions, images and content are my own. Thank you for supporting brands that support this site. Bring a pot of water with about a tsp. of salt to a boil. Cook pasta as directed; drain and set aside while reserving some of the pasta water for later. In a pot, melt the butter over medium heat and whisk in the flour, cooking until combined and thickened to create the roux base of the cheese sauce. Whisk in the heavy cream, Dijon mustard, and Parmesan cheese and cook over medium heat for about 3 minutes. Remove from heat and fold in the cooked pasta; coat with the cheese sauce and season with salt and pepper to taste. Transfer the mac and cheese to about 6 individual oven-safe bowls before baking at 400°F for 12-15 minutes. While the mac and cheese is in the oven, use a cookie cutter to stamp out your desired shapes from slices of Honey Baked Ham. Add the ham shapes to the top of the mac and cheese for the last 2 minutes of cooking to warm lightly.